Ed Sheeran, as co-writer of a song for Tim McGraw and Faith Hill, has been named as a defendant on 10 January 2018 in a new case to emerge, claiming copyright infringement of the country music duet The Rest Of Our Life against Jasmine Rae's 2015 song When I Found You. Australian singer-songwriter Jasmine Rae wrote the song When I Found You in 2014 and it was first released on her album Heartbeat in 2015. In 2016 it was released as a single, and the video reached number 1 on the Australian country video chart. When I Found You was co-written by Rae (using her surname Eldridge), with Australian keyboard player Beau Golden and musician and producer Sean Carey, former guitarist with the band Thirsty Merc. US country artists Tim McGraw and Faith Hill released the song The Rest Of Our Life in October 2017. The Rest Of Our Life was co-written by Ed Sheeran, Johnny McDaid, Steve Mac and Amy Wadge. "not participate in any legal action of any kind against the song’s recording artists . . . the owner of the recorded track master . . . or their record company, Sony Music Entertainment . . . [she would] not take this action on moral grounds . . . [and not] be part of any action that defames, courses (sic) distress, causes embarrassment or damages relationships between people and organisations (sic) who have done nothing wrong . . . my partner Tim works for Sony Music Entertainment and has overseen the marketing for ‘The Rest of our Life’ in Australia. He works directly with the Tim and Faith label team in Nashville. Taking such action would compromise both his position and that of the people he reports to and this is not something I’m prepared to do." On 10 January 2018 The Hollywood Reporter revealed that a lawsuit had been served on the writers and performers of The Rest Of Our Life, claiming "willful copyright infringement" on behalf of the other two writers of When I Found You, Sean Carey and Beau Golden. The court papers list the four writers of The Rest Of Our Life, along with their publishers, the performers Tim McGraw and Faith Hill and their record labels as defendants, a total of 15 different individuals and entities. They claim "in many instances, verbatim, note-for-note copying of important and original elements of [When I Found You]". The claim was for $5m based on an estimate of the revenues earned by The Rest Of Our Life since its release, with both single and album scoring big hits in the USA, live performances and television broadcasts. As well as having similar piano introductions, the chord structure of both songs is the same for the opening nine bars. The key and time signature of both songs are identical, and the speed/pace of both is almost the same. The similar material from the first eight bars is repeated during the same sections of the second and third verses. There is similarity between the phrase lengths, and the gaps between the phrases. There is lyrical similarity in the themes of "marriage, the passage of time, ageing, and the way that the romantic relationship protects the speaker against vulnerability". The two works could not have been independently created. Sony Records were aware of the similarity between the tracks before the release of The Rest Of Our Life. Jasmine Rae's boyfriend Tim Holland may have given the song When I Found You to Sony to promote Rae's work, and Sony may have passed the song to the writers of The Rest Of Our Life. The song When I Found You was a big hit in Australia in 2016 at the time when Ed Sheeran was touring extensively in the country. Although the opening piano material is similar, the descending notes of the major scale are very common in music, in this case using the first three notes in reverse order: 3, 2, 1. The opening melody of the first two phrases follows this descending pattern moving down from F# to E and D. The chords move from the tonic key of D to the subdominant key of G and back - a well-used harmonic device in musical "scene setting". The second and third chords of The Rest Of Our Life are straight G chords, without the added 9 (the effect of the 9 is to add colour with the addition of the note A to the G chord, the second or ninth note above the root G). After the first two phrases the songs move apart harmonically, with The Rest Of Our Life introducing the new chord of B minor in bar 10. 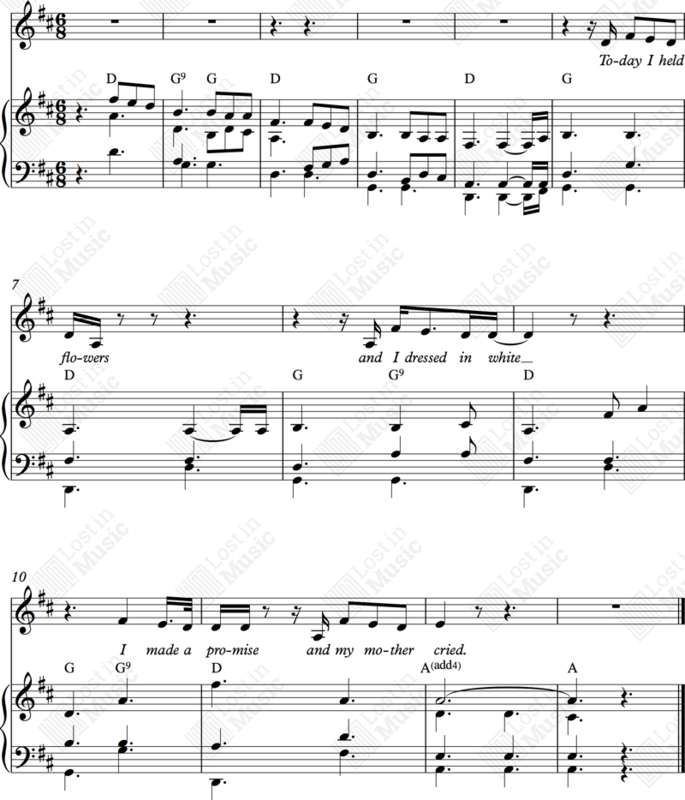 The chords, melody and lyrics of the chorus, bridge and middle eight sections bear no coincidence between the two songs. The complaint on behalf of Carey and Golden concentrates on the first nine bars (or first two lines) of the extracts below. There is a visible similarity between the first two bars of piano accompaniment, and the melody line follows the same descending shape in its first two phrases. Owing to the freedom of style in the singing of both songs it is hard to reproduce exactly in music notation what is sung. (Eldridge/Golden/Carey) Ⓒ Eldridge/Golden/Carey. Recording by Jasmine Rae ℗ 2015 Jasmine Rae, exclusively licensed to Australian Broadcasting Corporation. (Sheeran/Mac/Wadge/McDaid) Ⓒ Kobalt Music Publishing Ltd/Sony ATV Music Publishing (UK) Ltd/Bucks Music Group Ltd/Rokstone Music Ltd. Recording by Tim McGraw and Faith Hill ℗ 2017 McGraw Music, LLC, under exclusive license to Sony Music Entertainment. 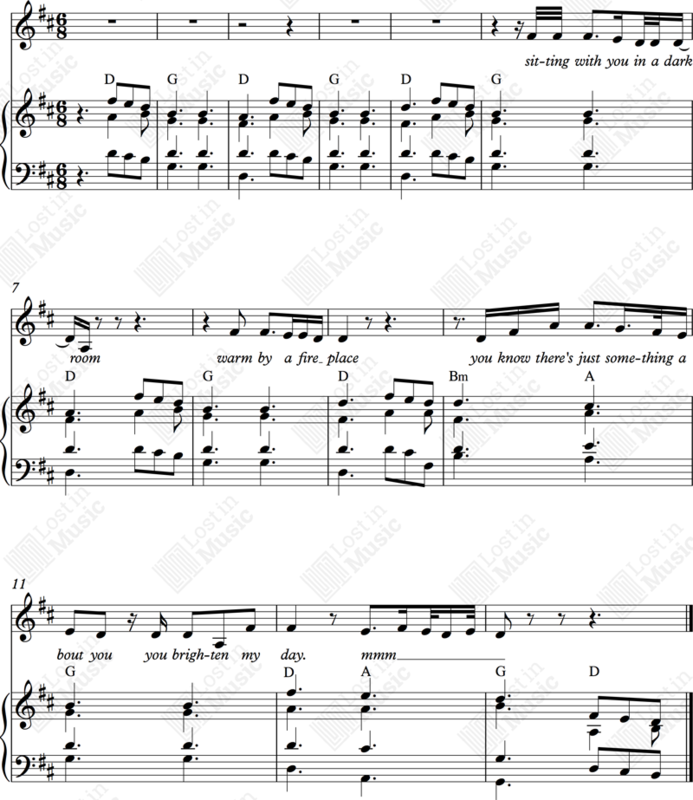 Although there are clearly identical phrases common to both songs, it will be up to the publishers of The Rest Of Our Lives to demonstrate that these phrases are musical commonplace and therefore uncopyrightable. They can do this by providing examples of similar phrases in earlier songs or instrumental music. It is hard to argue that access to the original song would not have been possible, and it is possible therefore that subconscious copying of the opening could have taken place. The Independent article on the case from 16 January 2018. Musicfeeds.com Australia article from 12 January 2018 including a window to the court papers. Downloadable pdf of the court papers. Let us know your thoughts on this infringement case. To add your comments you will require an account. Please either Login or Register. Use your login details to sign in. No account yet? No problem signing up is easy!